Learning in the classroom today is no longer a matter of just reading textbooks. Teaching methods now may include an educational video production. An educational video can either be fun, serious, entertaining or straightforward in what it is trying to convey. It all depends upon how the video is written (our storytelling techniques are unique) and for which audience or age group it is geared towards. With graphics, music, narration, actors and interactive formats, an educational video production can be quite stimulating and a great learning tool to use in the classroom. Theses multimedia educational videos can also be placed on a web site for students to view at their leisure. With the use of an online video production, the most important elements of the lesson will be highlighted. Viewers can easily pause to take notes or replay sections to review. An online video production can be designed to one’s specifications just as an in-class video can be; only the viewing atmosphere will be different. Educational video productions are not limited to teachers or school systems. Corporations often need videos to be produced for business seminars. 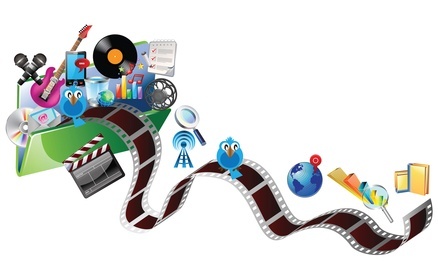 Multimedia videos are often used for trade shows, sales presentations, for training purposes and interviews. Videos that instruct are often used commercially. Take, for example, an exercise instruction video. When investigating educational video production companies, look for a company that can offer a pre-production package to research the project, come up with creative input and story development including a storyboard, have a location for your video and cast the video. You will also want an in-house studio, professional lighting, professional sound, and editing. For multimedia videos, you may look for 3D graphics and/or animation and some audio mixing capabilities. LS3 Studios offers these services and much more!